A good neighbor is someone who cares about your community, your family, and your wellbeing. That's Springview Pharmacy, your local Neighborhood family pharmacy. 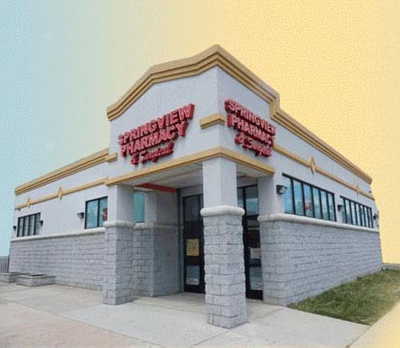 Springview Pharmacy has been part of the local community since 1995, serving the residents of Irvington and surrounding area. As your Neighborhood family pharmacy, we're able to offer quality products and services at prices that are competitive with the big national chains. Plus, we offer a special dose of caring that makes you feel right at home. Get to know us, and get to know the value we can bring to your family's life.